Electric scooter firm e-motive, one of the most established companies selling electric scooters in the UK, is set to pilot Ride Green, its own version of the Government's scrappage scheme for cars - but for motor bikes and scooters. 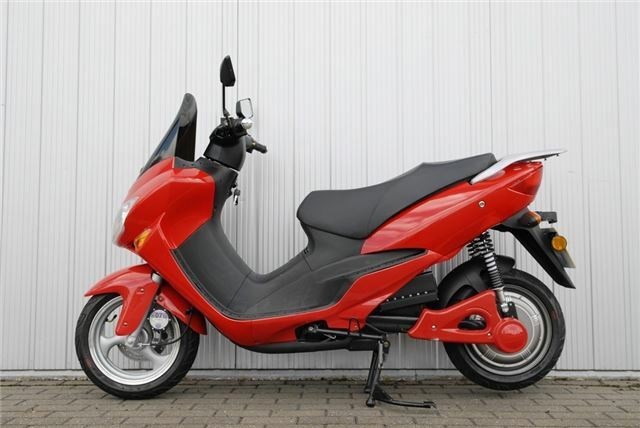 Anyone with a motorcycle or scooter with a current MOT - any age or condition - can part exchange it and receive a £500 allowance against the purchase price of a new e1 or e3 e-motive electric scooter. The trial scheme is being piloted during February and March by one of e-motive's dealers, BVM-Moto and if successful will be rolled-out across the country. Virtually identical in appearance to their petrol powered equivalents, an e-motive scooter offers running costs of just 1p a mile. It requires little more than an electric charge every 70 miles (depending on speed, weather and battery condition) from a domestic electrical supply and needs no fuel, oil or spark plugs, and apart from tyres, is virtually maintenance free. All e-motive scooters come with a two-year unlimited mileage warranty for the bike, while Silicon batteries carry a 12 month warranty and 24 months for the Lithium Ion battery. All new e-motive electric scooters also come with two years free AA roadside assistance. e-motive is part of vehicle distribution company Koelliker UK Ltd, which also imports SsangYong cars. The company operates nationally with the backing of an established network of retailers which means you can test-ride scooters before purchase, get specific advice from knowledgeable technicians and also get full after-sales servicing and support including AA roadside assistance. An e-motive scooter takes its power from a series of batteries that are charged-up from a standard 240v mains supply at home. These drive a highly efficient, low-maintenance brushless electric motor. You just turn the key to 'on', twist the throttle and the motor turns the wheels. Acceleration is surprisingly swift, but all you hear is a faint 'whirr' and there's no need for an exhaust pipe, because there is no exhaust, helping to keep the bike, your clothing and the air around you completely clean. It is calculated to cost about 1p a mile to run an e-motive scooter, and you can recharge the batteries up to 2,000 times before they need recycling. Under normal use, the battery should last up to three years.